In this article I'm going to discuss how to update a WordPress theme to its newest version. Ensuring that your WordPress themes are kept up to date can help keep your WordPress site secure, and sometimes even provides improved functionality and bug fixes. 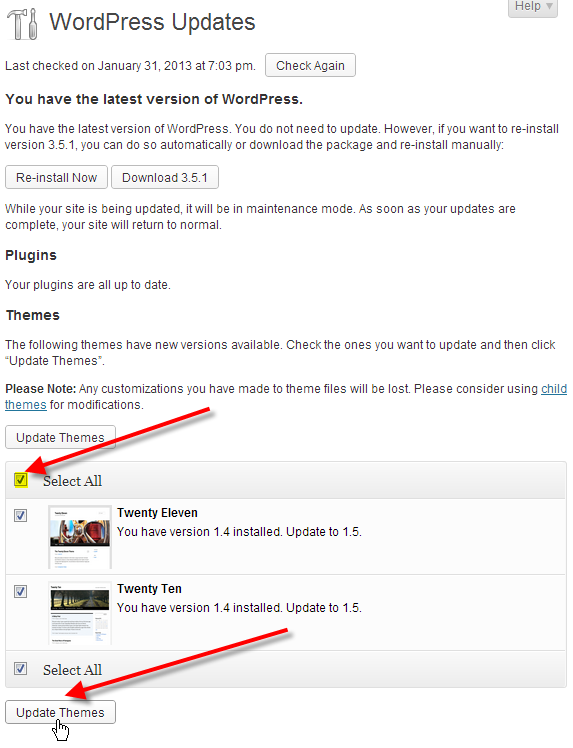 Typically you'll want to update WordPress themes right after you update WordPress itself to the latest version. Sometimes after you update WordPress you might have issues with your theme, and updating to the newest version will usually resolves these issues. Prior to updating your WordPress theme it's always recommended to go ahead and backup your database, as well as backup your website files. This way if for some reason something goes wrong in the updating process you can then easily restore your WordPress site back to how it was when still functioning properly. 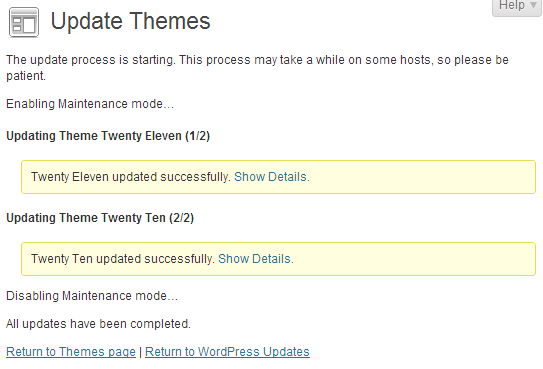 The steps below will guide you on how to quickly upgrade all of your outdated WordPress themes. Click on either the update icon at the top of the admin dashboard, or on the Updates link in the left-hand menu. Under the Themes section, place a check beside Select All, then click on Update Themes. After your WordPress themes successfully update you should see a success page. You should now know how to keep your WordPress themes up to date with the latest version released from the theme developer. I'd also recommend that you should update WordPress plugins for maximum speed and security on your WordPress site. I see that the example above is a theme by WordPress. What if the theme is from Envato Themeforest? How can I update a theme like that?? ?The first step I take is to download the new theme from Envato. Then I have no clue what to do without losing all the information already on the website. Thanks for your comment. I have reviewed Envato's support site and found this link to assist you with updating their theme. I hope this helps!